The newest spoiler of The Walking Dead Season 9 has left fans and followers of the series shocked and surprised. The X-scars on the backsides of Daryl and Michonne had often brought various questions to the minds of the viewers. However, nobody ever thought of child soldiers and Tara from True Blood probably. This week's episode probably seems to be finally answering the questions. While it seems to be explaining why Michonne has spent so many years distancing from Alexandria and the people they love. Episode 14 shows flashbacks of a woman named Jocelyn played by Rutina Wesley in True Blood. She along with a group of children she takes care of, arrive at Alexandria after an attack. Suddenly, a pre-outbreak school friend, Michonne takes Jocelyn in. While things appear pleasant in the beginning, they go a downslope. She betrays them by raiding their pantry and takes off with all of Alexandria's children. After the episode unfolded, fans took to Twitter showcasing how shocked. 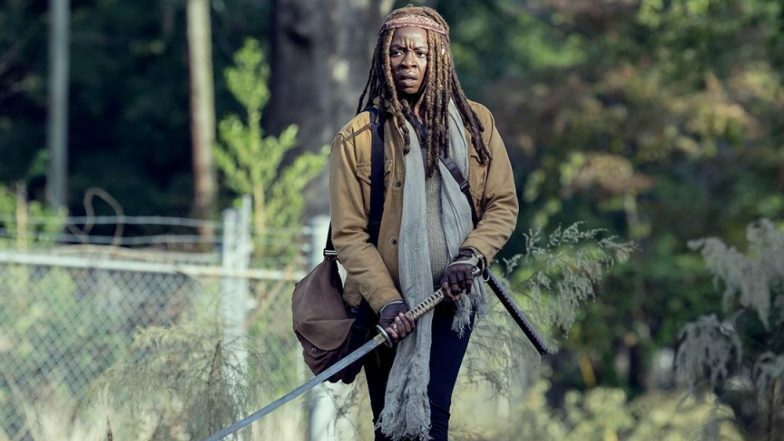 Soon GIFs and memes on The Walking Dead Season 9 began to flood the micro-blogging site. Ezra Miller Teams Up With Grant Morrison To Write A Darker Flash Script; Will Quit The Role If Warner Bros Reject It! #TheWalkingDead 914 is one of the most intense, nerve-racking episodes of I ever watched. May be the darkest episode TWD has ever done. But so, so, so, so good. Have someone or something to hold. Did anyone think about it? Meanwhile, Judith tells Daryl conversation to say how it could all happen again with the Whisperers, but Daryl disagrees. Then Judith leaves Alexandria over the argument and leaves to the woods. This week's episode has quite a lot of terrible graphics content. The slaying of children is sure to have a great effect on Michonne. We wonder how the plot is going to unveil in the further episodes.